There are a few things you need to be able to rely on if you live on the Gold Coast, and one of these is air conditioning! Those hot, humid, tropical days we sometimes experience can really drain your energy and make life uncomfortable, but a good air conditioner ensures your Gold Coast lifestyle can be enjoyed all year round. However, air conditioning is now recognised as much more than a summertime luxury. A home or office that is energy efficient and easy to heat during the winter months is just as desirable as a cool houses and work space in the summer, and we all want energy efficiency with our air conditioning choices. 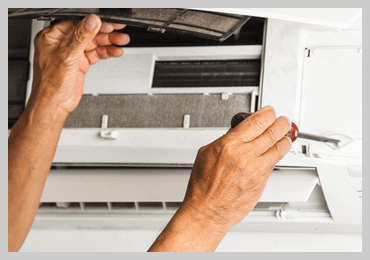 Air conditioning units are as energy efficient as a good heater if the correct unit is chosen. Sparkies Electrical Contracting Services specialise in the supply, installation and maintenance of all residential and commercial air conditioners on the Gold Coast. Talk to our air conditioning experts about which unit would suit your specific requirements, as well as being the most cost effective way to regulate your temperature and maintain your comfort. If you need an experienced air conditioning installer to help you decide which system would suit your property, or to discuss the different options and solutions for your air conditioning requirements, call Sparkies Electrical Contracting Services today for a FREE Air Conditioning quote. Sparkies Electrical Contracting Services can supply, install and maintain split system and ducted air conditioners to maintain your preferred temperature levels in your domestic or commercial property. Sparkies Electrical Contracting Services Pty Ltd have in place all accreditations, licences, insurances, blue cards and personal safety equipment, and of course all the necessary skills required to complete your air conditioning project. We can handle small residential air conditioning installs or repairs, right through to the larger commercial complexes with ease, as we have all the necessary experience, labour and resources to see your job through to completion. Why Hire Sparkies Electrical Contracting Services? 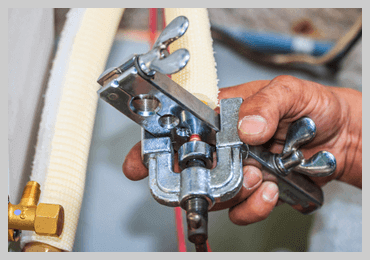 Sparkies Electrical Contracting Services are Gold Coast locals; they are experienced electricians that you can rely on to get your air conditioning installation or repair done right the first time! Don’t delay, contact Sparkies Electrical Contracting Services today, we will be happy to discuss your air conditioning options.